Click on the tabs below to navigate the downloads we have available. 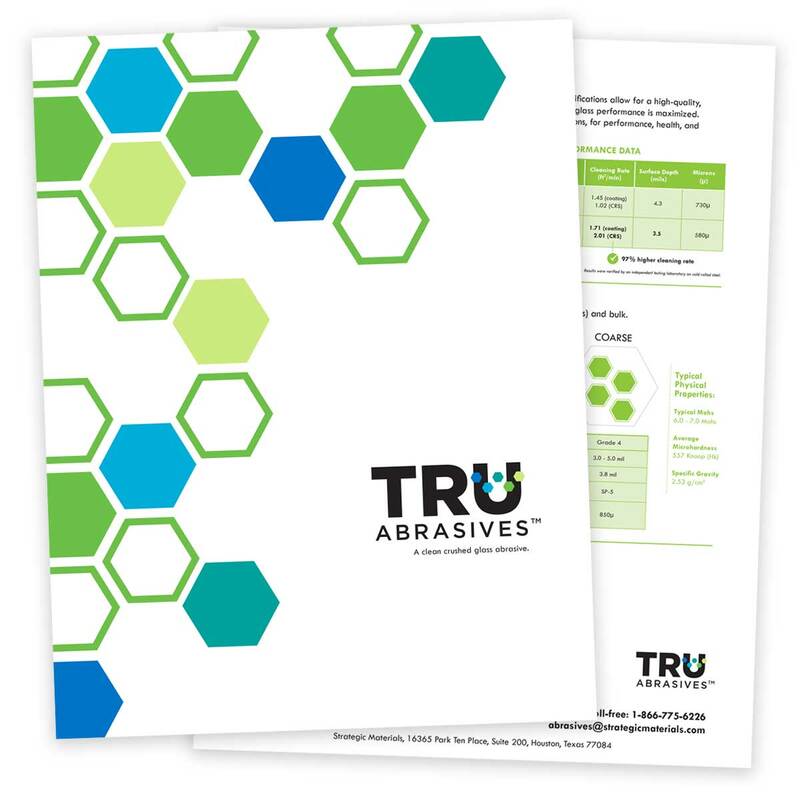 A range of product literature about Tru Abrasives. To download, simply click on the links below. As the largest recycler of glass in North America, Strategic Materials has better access to glass supply than any other glass abrasive or other abrasive manufacturer. When you work with Strategic Materials, you also benefit from our nationwide network that brings high quality materials closer to you. 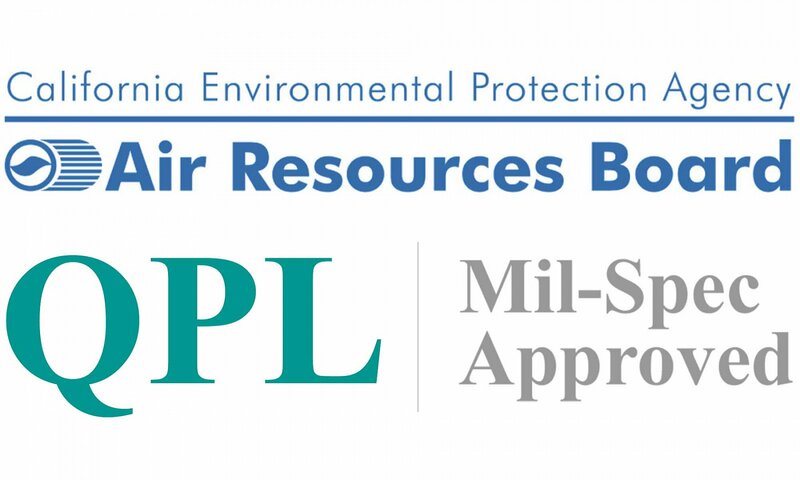 Our products have been approved by the California Environmental Protection Agency Air Resources Board & has received QPL Mil-Spec Approval. Read up on all the latest industry news below. At a hearing that took place on February 27, 2018, in Washington, D.C., Congressman Bobby Scott asked Former OSHA Secretary and Beryllium medical expert, Dr. Michaels, why the Federal Beryllium Rule has not yet been implemented, and to identify safe alternatives for the surface preparation market. Dr. Michaels not only recommended crushed glass abrasives, but he also shared one of the largest abrasive users in the United States, Newport News Shipyard, has converted from coal slag to crushed glass due to the potential health risks. "Congressman Bobby Scott: "What are the safer materials?" Dr. Michaels: "Well, glass. Recycled glass can be used as an abrasive material. Many employers have already shifted. In fact, one of the largest users of abrasive materials in the country, the Newport News Shipyard - in your District Mr. Scott - has already stopped using coal slag and has moved to glass as an abrasive." Industry News: Left in the Dust, a Reuters Special Report: The dismantling of a U.S. Workplace Safety Rule, and the Political Battle Behind it. In the waning days of his presidency, Barack Obama pushed a measure to limit workplace exposure to beryllium. After Donald Trump gained the White House, the GOP moved to strip key portions of the rule – saying it burdened businesses with little benefit to laborers. An inside look at the political battle. The Trump administration’s plan to weaken the beryllium rule offers a case study in the renewed power businesses can wield in the regulatory process. In this case, emails and government documents reviewed by Reuters show, a small industry – the manufacturers of coal-based abrasive blasting grit – used a modest $270,000 lobbying campaign and well-placed congressional allies to unwind a rule a decade in the making. “Never in OSHA’s history has the agency decided to roll back worker protections for a carcinogen,” Deborah Berkowitz, OSHA’s former chief of staff, wrote the agency on behalf of the National Employment Law Project, a nonprofit workers rights group. Following Oregon, California and Virigina state level OSHA decisions, Indiana becomes the fourth state to adopt the current OSHA Federal Beryllium Rule, which provides full protections to all workers for those in the construction industry using coal and copper slag abrasive containing Beryllium, specifically in surface preparation applications. See below links for full details. "The Indiana Department of Labor incorporates by reference the U.S. Department of Labor, Occupational Safety and Health Administration provisions that amend 29 CFR Parts 1910, 1915, and 1926, the final rule on Occupational Exposure to Beryllium." Please use the guide below for PSI recommendations. Please note, some of these PSI will vary depending on the coating, rust or substrate thickness. We recommend you start with the lowest recommended PSI and adjust accordingly. Our products have been used in a variety of applications. A few examples are shown below. To learn more, simply click on the title. Restoration work was done on the bridge’s concrete and masonry to remove carbon deposits and graffiti. 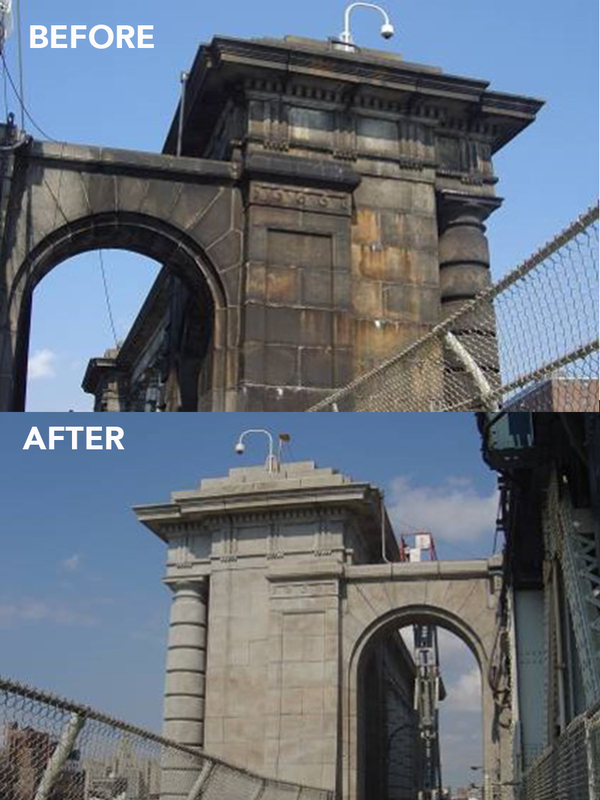 New York City Department of Transportation certified glass abrasives for use in wet blasting concrete on the bridge. TruAbrasives work well in wet or dry blasting applications. 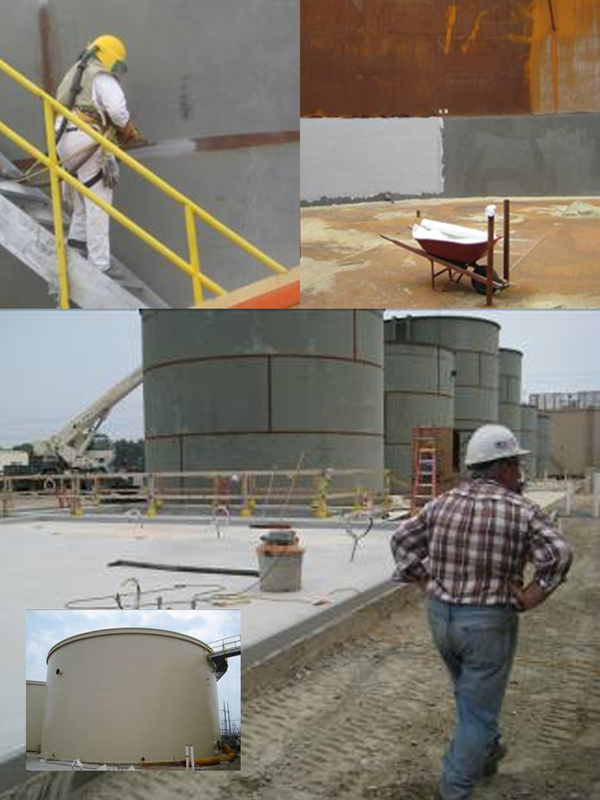 TruAbrasives were used to blast the outside seams and concrete base supports of tanks. Our clean glass abrasives replaced coal slag on this project. We are happy to send you a sample of our products. We have small sample packs, we will ship to you free of charge. 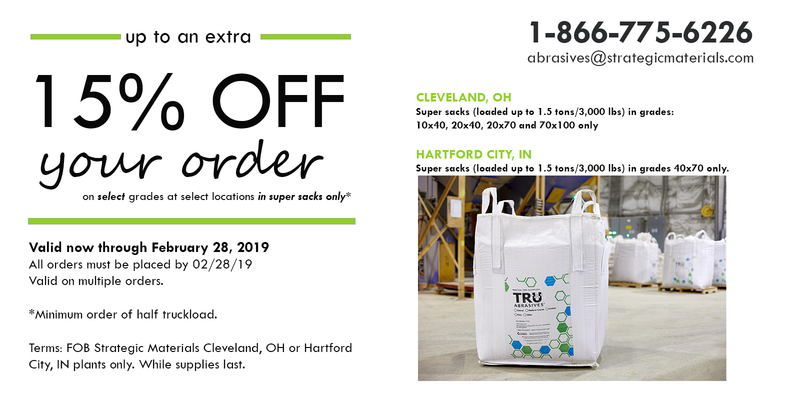 Whether you're considering it for your next project or are a distributor who wants to offer a new product to your customer, we can provide a sample in small or pallet form.